I just can't get enough of little boys and their curly hair. This little guy was such a cutie and had so much energy. 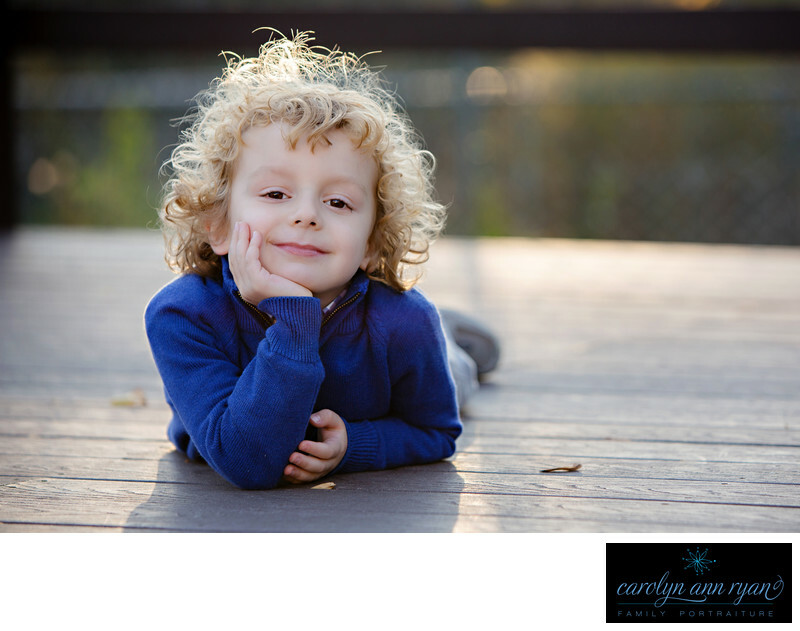 He was so photogenic in every portrait, and I just love this quick moment where he posed on the stage with the beautiful sunlight behind him shining through those blonde curls.Keywords: Autumn (117), blue (138), curls (48), Fall (129), sweater (60), sweaters (57), timeless (54), toddler (39), toddlers (45). 1/250; f/3.5; ISO 160; 140.0 mm.